The site plan for a new business park and homes off Dalhousie Road, Dalkeith, lodged by Hardengreen Estates. 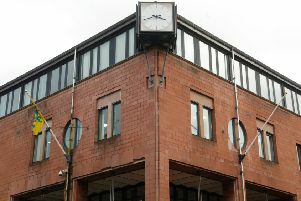 Plans to build houses on greenbelt land alongside a new business park have been lodged with Midlothian Council. The proposal off Dalhousie Road, Dalkeith, covers over two hectares of land. The majority of the site would be used to create business units and car parking on land which has been allocated for business use in the local authority’s Local Development Plan. But it also includes plans to build a cul-de-sac of housing north of Hardengreen House on a former steading site which is designated green belt. The plans, lodged by Hardengreen Estates Ltd, would see the vacant land, which lies south of the Eskbank Station park and ride and solar panel farm, transformed. Entrance to the business units would come by expanding the road to the park and ride while a new road for the housing would be created. The applicants said they held a public consultation on their proposals 18 months ago and only five people turned up. 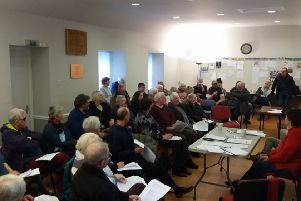 They added that three comment forms were filled in – two in favour and one describing it as “poor” – however given the lack of interest in the public consultation they said “it is not considered that those attending and the views expressed could be considered to be representative of the wider community”. The application for planning in principle does not set down the number of houses but the business units extend to 2720sqm with 140 car parking spaces. It will now be considered by council planners.